This mailing also contains a plain-text version. Settings in your e-mail viewer will determine which version you see by default. Said to be born in the middle of the week, and looking both ways for Sunday; or born in a hackney coach, and looking out of both windows; fit for a cook, one eye in the pot, and the other up the chimney; looking nine ways at once. ’Twould blast a flower if she breathed on’t. A Satire, Of the Passion of Love, by George Wither, 1622. It would seem that Paulding employed an amalgamation of the first and last of Grose’s expressions, one that he might have invented but more probably heard from others. The writer to Notes and Queries in 1861 whom I quoted had come across looking two ways for Sunday, a version of the first expression. It is easy to see how looking nine ways at once could have been generalised to in every direction and evolved into the abstract idea of being thorough. Starving While discussing a possible shift in the usage of drown last time, I mentioned the weakening that has taken place in the meaning of starve. Many readers pointed out that it has quite a different sense in some English dialects. John Orford added, “When I was growing up in Leicester during the forties and fifties, if you were starving you were cold. Pining was the word for being hungry.” Graham Moss recalls being told in Manchester in the early 1970s that it was “starving this morning”, meaning it was very cold. Correction I misspelled the name of the Chinese technology company last week. It should be Huawei. Links You may have seen short links to web pages using my home-brewed system which begin with http://wwwords.org. I experimented recently with using a well-known public alternative. The result was that many hundreds of email subscribers had mailings rejected; it turned out that a major spam detection service tags as unwanted any message that includes such links. I have gone back to my own system, in the process recoding and improving it somewhat, and the number of email rejections has fallen to its usual level. Apologies to anyone who missed issues. 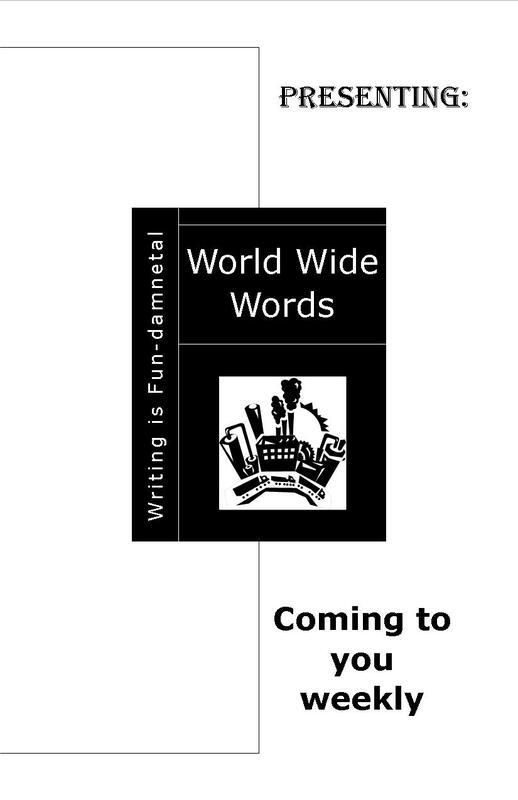 All my own work Several recent communications have assumed that World Wide Words is produced by a staff of writers. I’ve inadvertently encouraged this view in the past by calling myself editor, for want of a better title. In truth, everything in World Wide Words is written by me, though improved by corrections and comments from a group of volunteer readers. 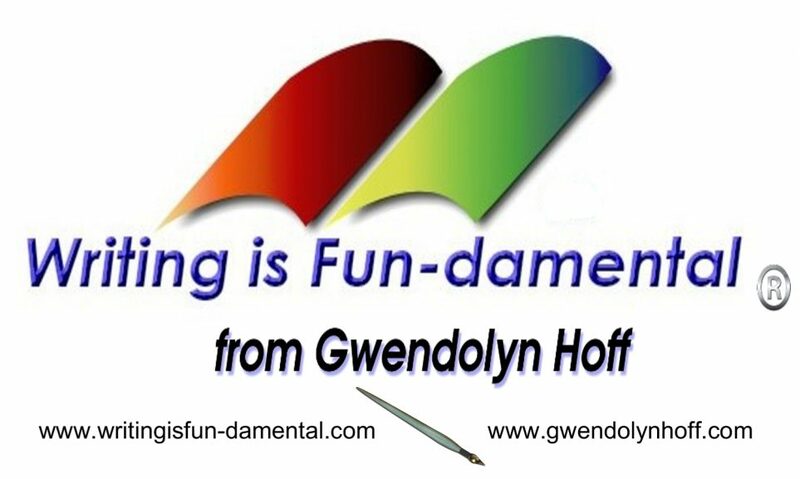 My grateful thanks go to Julane Marx, Robert Waterhouse, John Bagnall and Peter Morris. They’re getting two weeks off for the holidays, too. When in 1887 James Murray was compiling entries beginning with the letter B for what was then called the New English Dictionary on Historical Principles, now the Oxford English Dictionary, he was able to find only two examples of blatteroon, both from the seventeenth century. It had been taken from the Latin blatero, a babbler, to generate an insult which Thomas Blount defined in his Glossographia of 1656 as “a babbler, an idle-headed fellow”. So might the word have ended its life, but a small number of other examples are known, used without any elaboration for a person who won’t shut up. Dr Murray could not have known of them, as they are later than the publication of his dictionary entry. It seems that his inclusion of the word sparked a minor revival in its fortunes, and not solely in those works of a superficial and fleetingly entertaining nature designed merely to display the oddities of English. Yale Kamisar’s acute logorrhea … is well known to all. The only uncertainty, it seems, concerns the magnitude of the problem; some but certainly not all would go so far as to label him a blatteroon, a verbomaniac, or even a pisk or a plyoot. Wayne R LaFave, in the Michigan Law Review, Aug 2004. Pisk is Yiddish for a garrulous speaker, from the Polish word for a shriek or squeal; a plyoot is a loudmouth. The other curiosity is the appearance of the word in a variety of commercial code books. These weren’t designed to hide the sense of messages — the books were published for all to read who could beg, buy, borrow or steal a copy — but to provide one-word equivalents for common phrases to reduce the cost of cablegrams. Lieber’s code of 1896 said blatteroon meant “did you reserve?”; the New General and Mining Telegraph Code of 1903 translated it as “almost certain to float”; while the Western Union Telegraphic Code of 1901 left its meaning blank for sender and recipient to select their own. Would blatteroon have appeared in any of these works without its having first been recorded in the NED? It’s very unlikely. Words of the year The track record for words of the year has not always been impressive (does anybody still speak of information superhighway or Bushlips?). This may be why Merriam-Webster took the editorial eye out of the equation and resorted to statistics in choosing its word for 2013. Its online dictionary gets about 100 million accesses every month, so there’s no shortage of data. It checked the words that have been looked up most often and selected those that show the greatest increase this year compared with last. This led to a disappointingly mundane result: the word that came out on top with an increase of 176% and so became word of the year is science. Peter Sokolowski, Editor-at-Large at Merriam-Webster, noted, “A wide variety of discussions centered on science this year, from climate change to educational policy. We saw heated debates about ‘phony’ science, or whether science held all the answers.” The rest of the top five are equally unexciting: cognitive, rapport, communication and niche. The Australian National Dictionary Centre announced its word of the year on Friday. It looks for one that has come to prominence in the Australian social and cultural landscape over the year. Its choice is the digital crypto-currency bitcoin, which is attracting great attention because it’s an anonymous way to transfer money without the need for a central bank. Runners-up included the golfing term captain’s pick, which moved into Australian politics this year when former PM Julia Gillard used it for decisions that she made without consulting her party. Australia’s general election led to another shortlisted term: microparty, a small political party, often one based around a single issue. Another unsuccessful candidate was the notorious twerk; the Centre defines it as “dancing in a sexually provocative manner involving thrusting hip movements and a low, squatting stance” (see Miley Cyrus, passim). This also has political associations in Australia following a television demonstration of it during the election by the portly 59-year-old mining magnate Clive Palmer, candidate for a Queensland seat (he won, narrowly). Living with the relatives An article on the study of personal names in my newspaper introduced me to uxorilocality, supposedly as an example of the exotic vocabulary of genealogy. It’s actually a rare term in social anthropology for a practice in some societies by which a married couple goes to live with or near the family of the wife (it’s from Latin uxor, wife.) The equivalent when it’s the husband’s family is virilocality (from Latin vir, man). Older — and more common — terms for the customs are matrilocality and patrilocality (from Latin words for mother and father). Leonhard Adam proposed uxorilocality and its counterpart in an article in American Anthropologist in 1947, because he felt the older pair presupposed the presence of children. Q From Jane Cawthorne: Do you know the origin of the phrase Case the joint, as in “He had to case the joint before the robbery”? Case is a more difficult term to pin down because noun and verb have so many senses. The experts point to the gambling game called faro, hugely popular in North America in the nineteenth century, to the extent that for a while it almost became a national game. Its name is a simplified form of pharaon (English pharaoh), a French game of the century before. Various writers have argued that it gave American English numerous idioms, some now defunct, which include calling the turn, coppering the bet, from soda to hock, and play both ends against the middle. Faro was also called bucking the tiger, for unknown reasons, a term also applied to roulette and to heavy gambling of any sort. There is no game which gives freer rein to the passion of gambling than faro. There is no game in which money is won or lost more readily. Above all, there is no game in which the opportunities of cheating are more numerous or more varied. Sharps and Flats, by John Maskelyne, 1894. One Faro lay-out, with rosewood case-keeper; first-class, with painted cards on both lay-out and case-keeper. Cost $100, for $25. Daily Globe (St Paul, Minnesota), 22 Jan. 1880. This mentions two of the key pieces of equipment required for Faro, the third being a dealing box from which cards from a single pack were dealt one at a time. The layout was a sheet or board set with the images of the thirteen cards from one suit, on which the players placed their bets. A case-keeper was a device rather like an abacus, which kept a record of the play, in part so players could avoid betting on cards that had already been played, but also to try to ensure fair play. At various times it was known instead as the cue box, cue keeper or case keep, which was kept up to date by an assistant who was usually, if confusingly, also called the case-keeper. 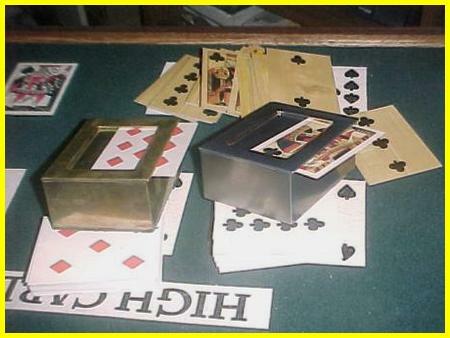 Its records became increasingly important as the game progressed and the number of cards remaining in the dealing box fell. Experienced players kept a close watch on it to maximise their chance of winning and to minimise the risk that a crooked dealer and case keeper were working in cahoots (in slang, operating a brace game, as it needed a pair of rogues). This is said to have given rise in the 1880s to the idiom to keep cases, to watch something closely. The players often kept their own records of play on cue cards and this was also called keeping cases. Jack Richards was keeping cases, and he proposed three cheers for the stiff; and you double your gamble he got ‘em. Omaha Daily Bee, 15 Jun. 1881. Case the joint. For it is time now. Angel’s Flight, by Don Ryan, 1927. However, it became widely known only from the late 1930s, in books and films about American gangsters and tough detectives. • A headline on the Big Hospitality site over a story dated 6 December puzzled Espen Hauglid: “Cluck chicken concept eyes roll out.” A quick read of the story reveals — much less intriguingly than the headline — that Cluck is a “new fast-casual dining concept” which plans to expand. • Henry Peacock found this on the Coventry Telegraph site on 11 December, “Former Sky Blues youth chief Gregor Rioch gets Wigan job … 8-year-old left Coventry City a fortnight ago after six-and-a-half highly successful years.” Youth chief indeed.